A 2013 file photo of the Internal Revenue Service building in Washington, DC. New rules issued by the agency say that politically active nonprofits no longer have to disclose their donors to the IRS. As nonprofit advocacy groups plunge into a high-priced fight over confirming Supreme Court nominee Brett Kavanaugh, they will no longer have to identify their biggest donors to the Internal Revenue Service. 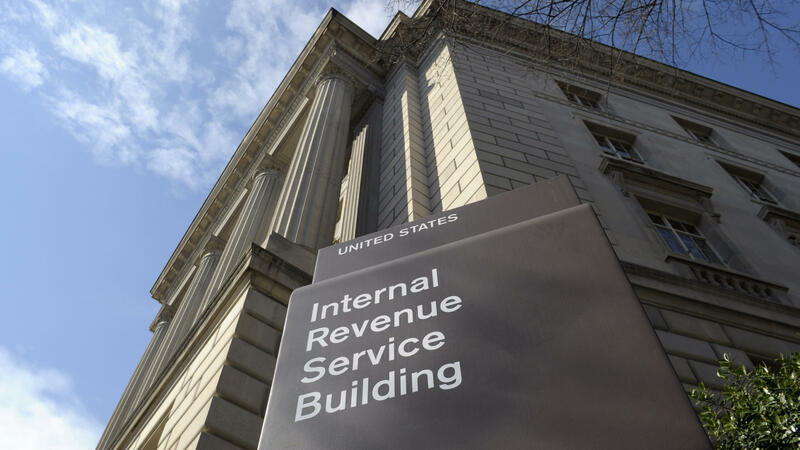 The IRS announced the rules change Monday evening. Earlier that day, Trump railed against special counsel Robert Mueller's investigation of Russia's cryptocurrency-financed effort to disrupt the 2016 presidential race, and the FBI arrested a Russian national who allegedly used the NRA to build ties among conservatives and Republicans. Until now, tax-exempt groups under Section 501(c) of the tax code have had to identify donors of $5,000 or more on their annual tax returns. While the returns are public documents, the donor identifications are redacted when tax returns are made public. But the system isn't foolproof. About six years ago, the IRS failed to redact the donor list for Crossroads GPS, a leading conservative group at the time. Under the new rules, 501(c)(3) charities will still have to identify their most generous donors to the IRS, but 501(c)(4) social welfare organizations and 501(c)(6) business associations will not. Critics call these groups, which are sometimes used by secretive political funds, "dark money." The IRS calls the move a "significant reform to protect personal information." Treasury Secretary Steven Mnuchin said the change "will in no way limit transparency." But Sen. Ron Wyden, D-Ore., said in a statement, "Trump's Treasury Department made it easier for anonymous foreign donors to funnel dark [secret] money into nonprofits." Wyden is ranking Democrat on the Senate Finance Committee, which is due to vote Thursday on tax attorney Charles Rettig's nomination as IRS commissioner. Wyden said he'll oppose it unless Rettig "commits to restoring this critical disclosure requirement." The new change is a small step in a conservative campaign to repeal disclosures and limits on advocacy money that doesn't go directly to candidates or political parties. Donor disclosure to the IRS "can easily be abused to suppress First Amendment rights," said David Keating, president of the anti-regulation Institute for Free Speech. The 501(c)(4) social welfare groups have been a rising force in politics, especially on the right. There is also a smattering of heavily financed 501(c)(6) business associations in politics, again on the right. "This was the right decision because citizens shouldn't fear harassment or persecution over their beliefs," said Nathan Nascimento, executive vice president of Freedom Partners Chamber of Commerce, a business association that's a financial hub of the Koch brothers' political network. Senate Majority Leader Mitch McConnell, long a foe of campaign finance regulations, said the new rules would prevent Americans from being "bullied for exercising their First Amendment rights," referring to instances in which people have lost their job due to their political donations. The U.S. Chamber of Commerce, another business association, called on Congress to exempt all 501(c) entities from "onerous donor disclosure requirements." Freedom Partners has spent $1.7 million so far on campaign ads in the midterm elections, according to the nonpartisan Center for Responsive Politics. The center said the U.S. Chamber has spent $7.1 million. Sen. Jon Tester, D-Mont., issued a statement calling for reinstatement of the disclosure rules. He said, "We need more transparency in our campaigns, not less."